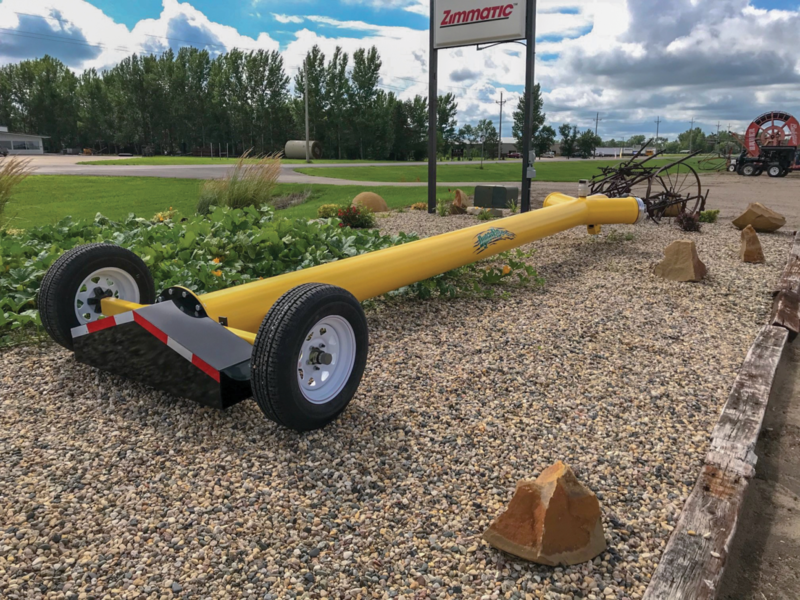 most versatile offerings is the Dyna Flo pump—a powerful, affordable, and easily towed pump that can pump 3,000–4,000 gallons of water a minute. It works well for draining flooded fields, flood irrigating, or just moving large quantities of water. 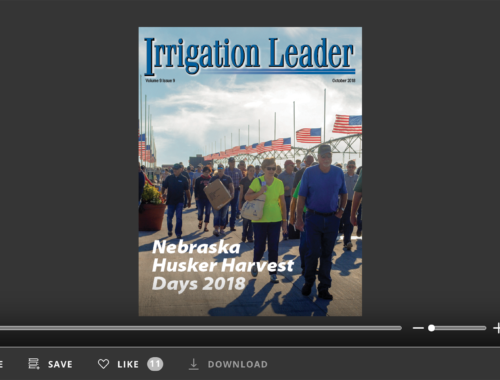 In this interview, Dana Rosendahl, the president and owner of General Irrigation and Dewatering, talks with Irrigation Leader Managing Editor Joshua Dill about his company’s history and how it developed the Dyna Flo pump. Hecla, South Dakota. On the farm, I learned to weld and repair. While I was still in high school, they started a vocational school program up here in Oakes, and I attended a welding class for 2 years, from 1976 to 1977. After I graduated, I was employed at manufacturing shops, welding shops, and so on. I was always curious about the process of working with steel, brakes, and presses; welding and assembly; and how to make those things more efficient. My wife and I moved to California for about a year, where I worked at a concrete construction company, but we came back to Oakes because this is where we wanted to be long term. For a while, I worked for a farmer south of town, but eventually, in 1981, I started working for General Irrigation. I was hired to do welding on pipes during the winter in preparation for the upcoming season, to build fittings, and so on. After a short time, I was promoted to foreman, and later on moved into sales and management. In 1988, I bought into half of the company, and in 1998, I purchased the other half. Shortly after that, we developed the Dyna Flo pump, established Dyna Flo, Inc., and began a whole new chapter. Joshua Dill: Please tell us about the history of General Irrigation and Dewatering. 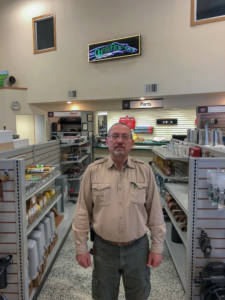 Dana Rosendahl: General Irrigation was started in 1967 near Brainerd, Minnesota, by my former partner. 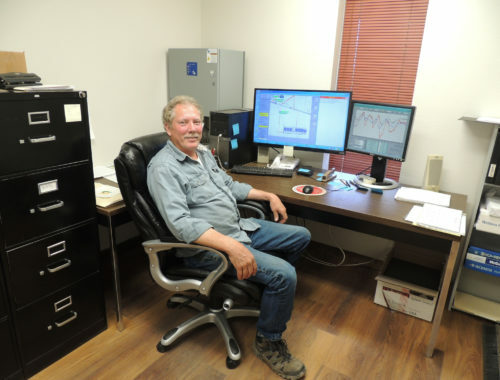 He moved over here in 1974, during the irrigation boom in the Oakes area, and the company has been here ever since. It is over 50 years old now. When the irrigation boom started, there were a lot of different types of irrigation, not just center pivots. There was also hand–moved irrigation, wheel lines, traveling guns, and flood irrigation. Over the years, we have been exposed to all of those different methods, as well as the irrigation, industrial water, municipal water, drainage, golf course, and dewatering businesses. That experience has proved valuable. Not many companies do all of the types of irrigation that we do. Today, there are 13–15 employees, depending on the time of year. When I purchased the business, it was only, a secretary, two other employees, and me. My goal was to grow the company and to create year-round work for as many people as practical. Joshua Dill: Please tell us about the Dyna Flo pump. 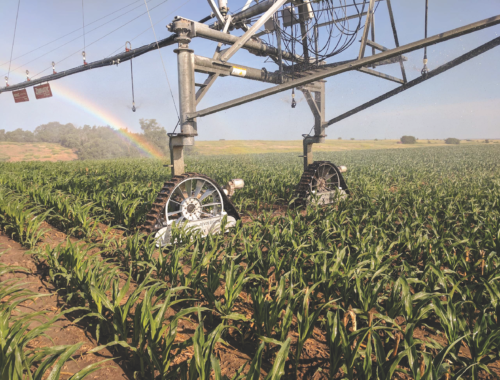 Dana Rosendahl: General Irrigation rents a lot of traveling guns, pipes, engines, power takeoff (PTO) pumps, and other equipment. Every year, we would get requests for a big pump that could pump 3,000–4,000 gallons a minute. We did not have one, and the pumps that could perform like that were pretty expensive, so around the beginning of 2008 we decided to build one ourselves. The first time we rented out our new Dyna Flo pump, the renters called us back and offered to buy it. We sold it to them and built another one. The first person who rented that second pump bought it as well. We thought that we might be on to something. At that point, around 2009, we got the materials to build four pumps and, lo and behold, we had four sales. From that point forward, we started to build them 10 at a time. We were selling them before they were even built. To date, we have built 90 pumps and have 3 in stock right now. We are building even more this year. We have made some improvements, but not a lot. The first pump only had a discharge on one side, and when you are backing a pump into a water hole, there is often a tricky angle, so we decided to put a discharge on both sides of the pump. We have also developed a bottom feeder that bolts right on to the back side of the inlet and directs water into the pump from underneath, which allows pumping in water as shallow as 6 inches. When other big flood pumps are backed into a hole, their inlets are 24–30 inches off the bottom, which can create a vortex. To prevent that, other pumps need to have at least 3 feet of water over the top of the inlet, which in turn can cause loss of prime and invites a lot of floating debris into the pump opening. Some pumps require a hole to be dug so that you can back the pump into the deeper water, which also requires you to worry about buried water lines, gas lines, high voltage lines, or fiber optic cables. With Dyna Flo, you just back it in and start pumping. Also, our pump’s power shaft runs down the middle of the pipe. The shaft is supported by pedestals with cutless water-lubricated bearings. Other than the PTO shaft, there are no external moving parts on the pumps themselves—nothing to grease below the water line. That makes the pump last longer. The only greaseable bearing on it is a thrust bearing right at the top of the pump at the front plate. When the pump starts to produce volume and back pressure, the shaft backloads on that top bearing. The two universal joints on the PTO shaft have to be greased as well, but overall, it is a very low- maintenance piece of equipment. We have had three Dyna Flo pumps in our rental operation for a long time. A customer will come in here, hook one of them onto his pickup, throw the hose in the back, and take off down the road at 70 miles per hour. I have pulled Dyna Flo pumps as far as a couple hundred miles. When we were building the Dyna Flo, we made the conscious decision to put high-speed axles on them. We put bearing buddies on the wheels, like what you see on a boat trailer, which keeps the grease in the wheel bearings loaded so that there is always pressure in the wheel-bearing hub. When you back into the water, the water does not flow into the wheel-bearing area. Joshua Dill: What are the main applications that people are using these pumps for? Dana Rosendahl: Mostly flood control. Others are being used for flood irrigation, dewatering, or dumping water up over a bank. There is one running in California on a rice field. We even have one pump running in Australia to water crops. Here in the Red River valley, 2–3 inches of rain is enough to flood a 40-acre corner on low ground. Those 40 acres will drain, but it will take 7–10 days. Farmers who have a field in that situation have been purchasing these pumps, which can pump that water out in about 12 hours, thus saving the crop. Joshua Dill: What changes have you made in your design, marketing, and sales during the 10 years that the pump has been on the market? Dana Rosendahl: We are finding new applications for the Dyna Flo pump. For example, our pump runs at 1,000 rotations per minute, but we have had farmers ask for a model that they can just put a 540 tractor on. The pump itself will pump 3,500 gallons a minute with 15 total dynamic head with less than 30 horsepower. We have developed a two-to-one drive for the guys who wanted a 540. Systems like that are currently being used in California, where some of the tractors are smaller, with a 540 PTO drive. We have also developed a version with an electric motor. 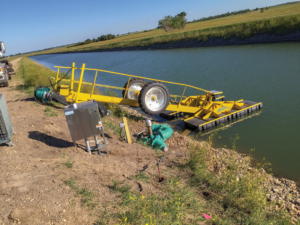 A Dyna Flo floating pump..
tank for all of the drainage to run into, farmers may need to pump the water up over a bank. We started offering 8-inch and 12-inch vertical pumps that sit on top of the tank, so that the electric motor is up above. The only part that hangs in the water is the impeller. Most other applications use submersible pumps. Submersible pumps have their use, but they draw more power and cause more vibrations, and being submerged underwater usually takes its toll, causing them to fail more quickly. We have been building those for more than 4 years now. We have had a couple of applications where the customer needed to push the water 3,000 feet and lift it 25–30 feet. Most submersible pumps are not capable of doing that. They will pump 600 gallons a minute, but they will only lift the water 12–13 feet. The way we build our pumps allows us to install a motor of any size from 5 to 30 horsepower and match that with an impeller of the appropriate size. That gives it more lift and the ability to move more gallons. 45 feet long. That’s a big piece of equipment, meaning there is a distinct advantage in being able to disassemble it. The idea came from my background in manufacturing. Joshua Dill: Can you produce custom-built versions for farmers who want to do something specific? Dana Rosendahl: Yes, we build a lot of special applications. We have built and mounted diesel engines with a pump and a diesel tank and put them on trailers to sell out in the oil fields. We’ve sold those during the oil boom in western North Dakota for delivering water to frack sites. Prior to that, we built diesel pumping units for agricultural customers. We built a trailer, mounted a diesel engine and a pump on it, and put a generator on the front of it so that a customer could drop a line into a creek or lake. That generator will produce enough electricity to operate a center-pivot system. Joshua Dill: How do you find new customers? Dana Rosendahl: Through the years, we used to make contact with anybody who had a water permit in Minnesota, Montana, North Dakota, or South Dakota. We built up a clientele consisting mostly of repeat customers. New ones have come along through word of mouth, magazine ads, and direct mail, which used to be really important. Currently, we are working on social media. 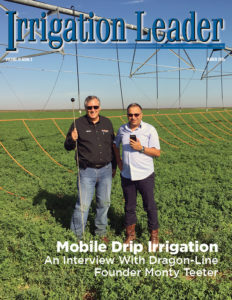 Joshua Dill: Please tell us about your vision for General Irrigation. Dana Rosendahl: The company is over 50 years old, and we have made some pretty big improvements and investments over the last 5 years. We added 20,000 square feet to our facility here in 2011. We have recently added a salesman. My son manages and has taken over most of the sales in the irrigation and dewatering part of the company. When my wife and I made the investment into the building, we did it because we wanted it to be there for the future. We wanted it to be there for our kids. I have 13 grandchildren; there is no reason why some of them couldn’t end up working here for General Irrigation or Dyna Flo. There is no reason we can’t be here 50 years from now; we have been here for 50 already. Dana Rosendahl is the president and owner of General Irrigation and Dewatering. For more information about the Dyna Flo pump, visit dynaflopump.com.